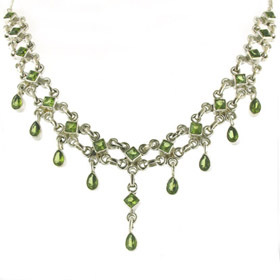 Peridot's fresh, clean lime green colour mixes well with many colours. 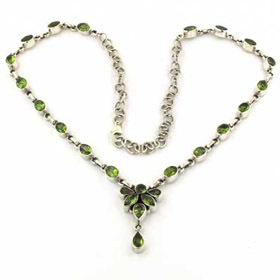 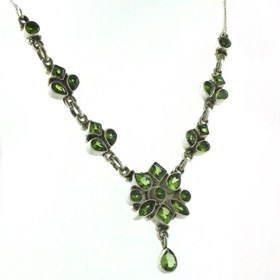 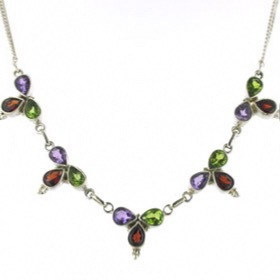 Peridot is the August birthstone and a peridot necklace makes a great birthday gift. 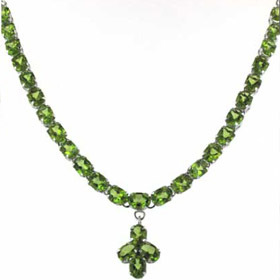 We only use genuine peridots in our peridot necklaces. 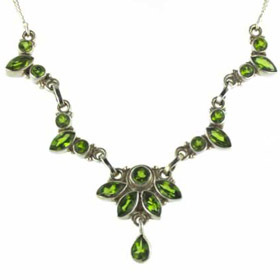 You'll sometimes see crystal quartz dyed lime green and called "peridot". 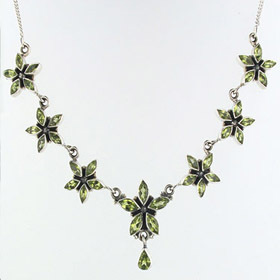 If it's very cheap and the stones large, it's not peridot. 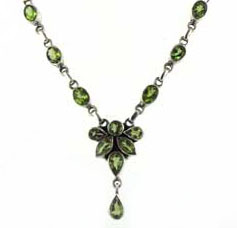 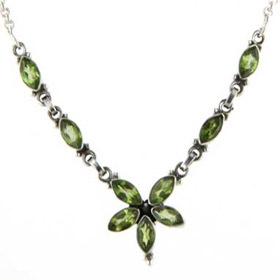 We have a large collection of peridot pendants if you prefer a single stone peridot necklace.